The recent testimony of Dr. Christine Blasey Ford to the Senate Judiciary Committee reminded me of what every other patient experiences in the emergency department. The other half of the population appeared like Brett Kavanaugh. 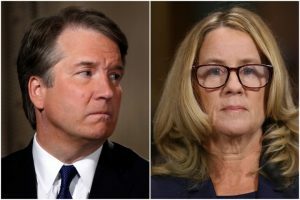 Dr. Ford alleged that Mr. Kavanaugh was intoxicated and sexually assaulted her while they were in high school. She grew up to be a clinical psychologist while he was named a Supreme Court Judge. The surprising fact that distinguished the two during the Senate hearing was that they were one in the same person. Male and female, parent and child, aggressive and passive, good and evil, Jekyll and Hyde typically comprise the entire being of each individual patient who presents to the ED. The image of Dr. Ford speaking behind the microphone while being asked questions reminded me of what patients experience in the ED. There are many interrogators (medical staff) having 5-minute conversations with patients: “Tell me what happened.” “Can you tell the story concisely in your own words?” “Do you have any collaborating witnesses?” These questions are often intimidating and prejudicial as many doctors don’t believe patients. The answers to these questions evoke patients’ feelings of disbelief, shame and vulnerability. In the moment of truth, the cream rises to the top and becomes the adult in the room. What happens in the ED oftentimes has lasting consequences for patients. Will they view themselves as good or bad people, scared or responsible victims? Fear of the unknown can only be resolved through the inner workings of the parent-child relationship. The adult tends to shine a light on the child’s dark side, allowing fear to surface and dissipate. Patients must imagine what lies in the unconscious before illness is truly healed. Dr. Ford was hailed as the poster child for all victims of sexual assault, the proverbial “cream of the crop.” She sat in the clown court of acting senators/sinners viewing them with their pants down. By telling her own story, she exposed their fear and personal shame. She appeared professional, poised and purposeful in her testimony while they seemed small, narrow-minded and partisan. “I’m terrified” is at the heart of every child and patient, along with Dr. Ford. “I didn’t want to tell anybody I was having ill-feelings or chest pain because the healthcare system staff might not believe me or oblige me to do things against my will.” So many patients wait, suppressing symptoms and emotions, thinking that they aren’t real or might simply go away. Both Christine Blasey and Brett (alias “Bart”) Kavanaugh could not live with themselves after the alleged assault. ”She said, he said” placed blame on the other person. Did either of them take responsibility for their actions that night? Were they prepared to confront their demons or was it easier to pretend the situation didn’t happen? This is the child’s nature. Fast forward and through years of therapy, Dr. Ford could no longer play the victim. Having Brett Kavanaugh on the US Supreme Court asserting moral authority meant she might be supporting the notion of her being a low-life and doormat on the way to his success. Many patients who suffer post-traumatic stress disorder often feel someone or something got the best of them. Patients often say, “I don’t have any medical problems,” while holding a plastic bag full of prescription medication. They prefer to minimize their own bad points and accentuate the positive. They hope against hope that the doctor will give them a quick pass instead of a major workup. Brett Kavanaugh professed not being much of a drinker yet was treasurer of the “keg city club.” Perhaps that’s just what boys do OR how adults compensate for alcoholism and bad decisions. The only credibility he established was the fact that he struggled with being honest. Adults take responsibility, admit mistakes and sound coherent. Dr. Ford could’ve handled her sexual assault differently at the time, but most of what she stated in her testimony was understandable. When patients admit to not being perfect, physicians tend to show compassion. Credibility exists when patients take responsibly for their actions and act like adults. 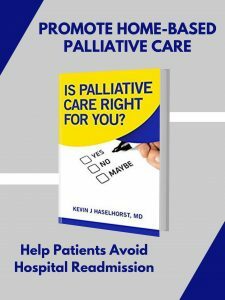 Patients might ask, “Was that me – did that just happen?” They might be disappointed with their physicians or their own performance. Did they achieve the desired outcome of the ED visit? Who’s to blame when your message doesn’t come across loud and clear? Were you a credible patient that was perceived as being a reasonable adult? There’s no doubt that Dr. Christine Blasey Ford will go down in history as one of the premier survivors of the #MeToo Movement. Her emotional testimony was compelling and inspiring for all victims of sexual assault who wish to be heard and believed. By having her day in court, Dr. Ford was vindicated and regained her self-respect. The “Honorable” Judge Kavanaugh will be remembered for his defiant, defensive, childlike demeanor. Like a single ED visit, he had one chance to examine his conscience, set the record straight and act like a responsible adult. If he had nothing to hide, why didn’t he personally demand a “complete workup” and thorough investigation? While most adults have the capacity to be both parent and child, medical decisions need to be made by the responsible adult. Like senators sitting on the judicial committee, physicians have their own agendas and selective hearing. Patients need to assert their own self-interests if they are to be heard and treated with respect. Patient credibility might exist in the eyes of the beholder, but it must come across to physicians. After each ED visit, the patient might ask, “Can I live with myself?” If the answer is “No,” then more work needs to be done to confront their demons. Self-respect only emerges through overcoming the personal shame of having an unresolved, chronic illness.